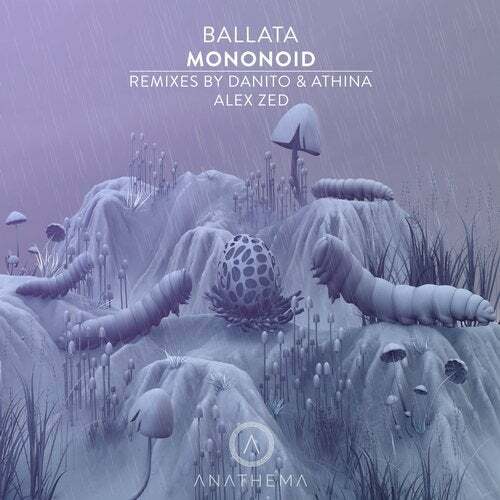 Spring season is open for Anathema Records, welcoming the Netherlands' duo Mononoid (Andy Godderis and Igor Shumlyanskiy) with their label debut EP - 'Ballata'. Mononoid was born from the word 'Mono' (as in solo) and the word 'nooit' (Dutch for never), basically meaning 'never alone', connecting art and music evolving into their own unique sound. On remix duties we welcome to the label the UK based DJ, label owner, and producer - Alessandro Lombardo aka Alex Zed; in addition to, the dynamic artist duo - Danito and Athina, from Cologne, Germany. 'Ballata' kicks in with a pounding bassline combined with eerie sounds integrating melodic elements and organic percussions that crash all-together into a progressive build-up of mysterious synths with dark-clubby attitude. 'In Tact' is dyed with subtle melodic trumpets and ambient synths led by a rhythmic bassline and trippy-propulsive drumbeats having a perfect harmony synchronization with rare and effective synths. Danito and Athina crafted an Afro House infused beauty remixed version of 'Ballata' by incorporating layers of FUN-tastic back-ground noises combined with eerie synths making it a joyful-danceable track. Alex Zed's remix for 'In Tact' is curated by darker and deeper synths integrated by progressive evolutions and dramatic breakdowns fashioning the track into a masterpiece.